Since moving into our home three years ago, we have done numerous renovations and are now finally starting to think home decor! That’s the fun part in my opinion. I love surfing the web and finding sites that inspire me to create a beautiful living space. One site that I’m drawn to is evgie. They have such a fun selection of vinyl wall decals. I want them all! The talent behind evgie are two creative women with a love for digital illustration and interior decoration. Both ladies have been drawing since childhood and I think it’s great they are both doing something they love. It never feels like work when you are doing a job you are passionate about. I’ve been on Pinterest and see how vinyl wall decals are hot right now. They are easy to apply and remove (which is such a big plus). On evgie’s website, you can search by Age (from baby to adults), Theme (Jungle Safari, Sea Ocean, etc), Room (Nursery, Office, Kitchen, etc), Price and Special Interest. I love this Fairies Wall Decal! It would look great in my daughter’s room. evgie also offers customized wall decals. If you have something in mind, contact them with your specifics and let them work their magic! I invite you to visit evgie and find the perfect wall decal for your space. And they ship worldwide! Disclosure: I was compensated for this post. The opinions are my own, based on my personal experience. I like the Cherry Blossoms Tree Wall Decal! 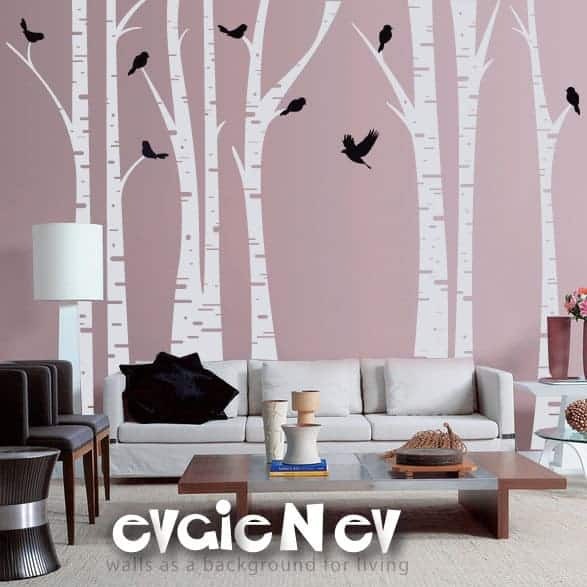 http://www.evgie.com/products-page/forest-nature/shelving-tree-wall-decal/ I like this shelving tree and the cherry blossom one with birds! Outer Space Wall Decal Astronaut and Spaceship. Really think that the “SOPHISTICATED TREE & BUTTERFLIES” decal is beautiful. I like the Sophisticated Tree & Butterflies – Modern Wall Decals. My favorite is the Large Tree with Birds Nursery Decal. 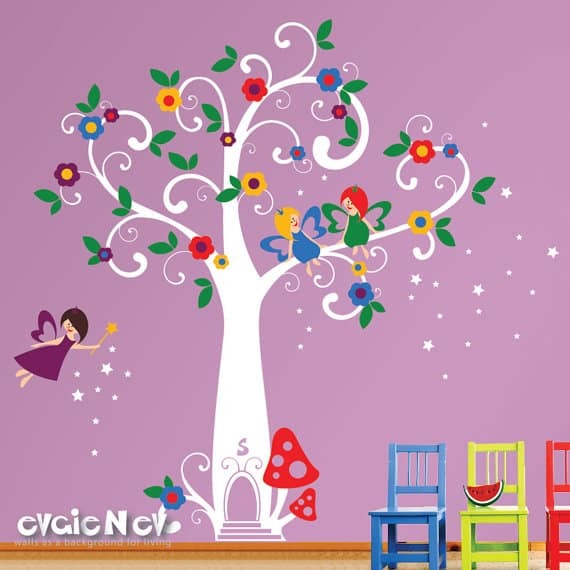 I’d love to get the Birch Tree Wall Decal for my daughters room! I love the new age polka dots! I like our boys wall decal. I like the floating shelve tree wall ! Looks great ! I like the Forest Animals Wall Decal. I love the family tree decal! I love the Birch Trees Wall Decal. I like the birch tree wall decal with bonus birds. I love the Forest Animals Decal!